University students are increasingly seeking stints volunteering in developing countries. Now, there’s a move to make these trips more ethical and meaningful to both students and their hosts. She hadn’t even bought her plane ticket and already Carmon Co was getting a taste of the exciting trip she’d started to organize last fall. She and two other second-year veterinary students at the University of Guelph had been emailing a veterinarian working at Uganda’s Queen Elizabeth National Park to ask whether they could volunteer to work with him this coming spring. The 27-year-old is co-president of Global Vets, a student-run program now in its 20th year at U of Guelph’s Ontario Veterinary College. The program organizes and raises funds to help OVC students who’ve completed second year to volunteer with animal health services in developing countries for four to eight weeks during the spring and summer. Afterwards, those students select and mentor the next year’s volunteers, with guidance from a faculty adviser. Manali Desai, 25, the other co-president, says Global Vets allows interested students to “give back, and take what we know and expand it to other people.” She hopes to volunteer in Thailand, Laos and Cambodia, working with small and exotic animals. She calls the opportunity “pretty much once in a lifetime,” with the potential to deepen her professional training and to learn more about the world in general. Some 37 vet students have signed up this year, a jump from 19 in 2016, making it the largest Global Vets group ever. That’s in step with a growing trend, according to observers of the volunteer-abroad sector. “There is a groundswell of demand among students to have international experiences,” says Rebecca Tiessen, associate professor of international development and global studies at the University of Ottawa, who has written extensively about students volunteering abroad. That should be welcome tidings to Canadian universities: most of them want to boost the number of students who have international experiences. At last count, about three percent of full-time undergraduates, or 25,000, had a university-related international experience of any kind in 2013, as reported in a survey by Universities Canada. How many of those experiences consist of volunteering? That’s difficult to know because these experiences abroad aren’t well tracked and carry a wide variety of names. Credit and non-credit programs that involve working with or providing service in a foreign community may be called international service learning, alternative study breaks, globally engaged experiential learning, international internships and volunteering abroad, among other terms. Most universities offer some opportunities like these, but they are less popular than overseas study programs, according to the Universities Canada survey. And even though the sector is small now, many knowledgeable observers say that it should be expanded carefully because of the high potential for disservice and even harm to host communities. For Kate Grantham, what she witnessed while volunteering abroad was so disturbing that she made internationalization strategies of universities the focus of her academic work. Now a postdoctoral fellow at the University of Ottawa, Dr. Grantham had volunteered with a women’s legal aid society in Tanzania in 2009 as part of a scholarship for her master’s degree in women’s studies. She booked the trip through a private company specializing in international volunteering experiences and received no preparatory training or support for the six-week stint. She says she witnessed other young volunteers, many on a gap year, party at night and then miss their placements the next day because they had hangovers. One roommate was sexually assaulted, others were robbed. She saw volunteers give candy to children, who then fought over it in the street. “There was no oversight, no accountability,” says Dr. Grantham. Despite that, she expects that most of her fellow volunteers flew home satisfied they had done some good. “The participants didn’t have the tools to critically assess their experience, which only increases the problem.” She has since written a series of papers with Dr. Tiessen for Universities Canada about North-South student mobility. A veteran of five trips herself, Ms. Klaassen agrees with Dr. Grantham that sending students on their way without the tools to understand another culture and its context can make things worse, not better. University students might have a capacity to care about others, but when they don’t understand their own privilege and power relative to that of their host community, are ignorant of cultural norms and expectations, and believe they are there to help an otherwise helpless community, they risk making a mess of things. In health-care settings, the potential for ill effects from lack of knowledge is even greater. Robert Huish, an associate professor in international development studies at Dalhousie University, wrote in 2012 of a Canadian medical student on an elective placement in an overtaxed East African hospital who had been asked to insert a saline drip into a severely dehydrated patient. The student had never learned how to insert a needle into a collapsed vein and had to call a harried nurse away from another patient to help. To address problems like these, some universities are reconsidering their offerings as they ramp up their internationalization efforts. In 2011, the University of Manitoba’s service-learning office in the student affairs department began to overhaul its non-credit, volunteer-abroad programs by adding intercultural and critical thinking skills to the program. Previously, the program was more one of “voluntourism,” where students chose an experience based on the destination they wanted to visit and were set up as providers of a charity, even bringing goods as gifts. Instead, the new service-learning model is theme-based — learning about land rights and food security in rural Belize, for example. It aims for a two-way relationship, where the host community and the visitors learn from each other. Now, the U of Manitoba students take pre-departure training, increasingly found at other universities too. The training introduces their service-learning theme, offers intercultural skills development and describes what ethical community engagement looks like. There are also formal opportunities for reflection during and after the trip. University staff develop the programs jointly with partners in the host community, considering both the host’s needs and the contributions that students can realistically make. As they reviewed the centre’s existing travel opportunities, some were made more observational rather than operational (to accommodate student demand for shorter experiences due to cost) or, in the case of one five-week program in Bangladesh, closed — at least temporarily. U of Manitoba is one of several universities offering volunteer opportunities closer to home that nonetheless embed students in an environment different from their own. Students can opt for volunteer work projects in northern Indigenous communities. These are more affordable — about $1,000 compared with $3,000 or more to go overseas — and cost has been identified by students as a barrier to foreign trips. Despite such efforts, university staff know that more consumer-oriented “voluntourism” trips are only a click away for their students, courtesy of the private companies that advertise online and on student billboards at universities, sometimes inviting them to on-campus information sessions. In 2008, the global volunteer-abroad industry was valued at $5 billion U.S. annually. 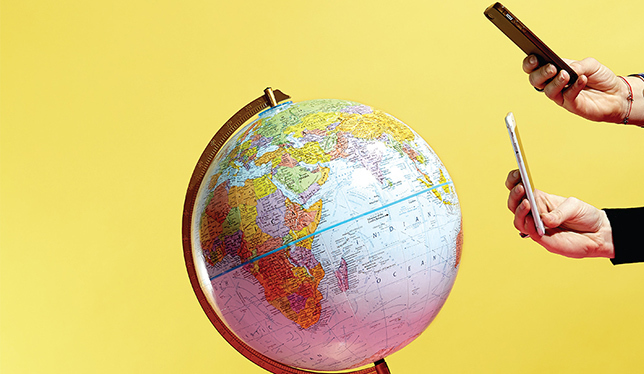 “People have figured out that there’s money to be made,” says Jeff Minthorn, who promotes responsible intercultural travel through his magazine Verge and an annual trade show called Go Global Expo, held in Toronto and Montreal. Making money doesn’t necessarily mean unethical, and universities may themselves use third-party companies to help set up service-learning trips. But with so many options, it can be hard to tell who’s who. That’s why Dr. Mitchell’s office at U of Guelph offers to consult with faculty and students who want to set up a trip abroad, whether to provide service or for academic purposes. A 50-point checklist encourages them to ask good questions, such as how the organization they’re considering working with is funded, how much of the participation fee goes towards administration and whether volunteers feel qualified to provide the work they’re asked to do. “People get all excited to go build a school in Kenya, and all I do is say to them, ‘Is there no one in Kenya that can hammer a nail?’ And that alone — they hadn’t thought of that,” Dr. Mitchell says. Her university is one of several that have joined a forum of public, private and faith-based organizations interested in creating a set of standards of practice to promote ethically responsible service-learning trips to the Global South. Called Global x Change, it was started two years ago by Gonzalo Duarte, a Toronto-based social entrepreneur who faced ethical questions he couldn’t answer while running a company taking Canadians to volunteer in Nicaragua. He decided to enroll in a master’s program in philanthropy and non-profit leadership at Carleton University to explore these ethical questions. His graduate research was on how to set up global service-learning with “reciprocal public benefit,” meaning the benefits of the experience are more evenly shared between visitors and hosts. He eventually whittled the standards into six buckets: organizational alignment; sustainable management; responsible marketing; integrated implementation; protection of people and planet; and realistic evaluation. These became the starting point for Global x Change. It has formed a core group of some 20 institutions — roughly half are academic, including universities — now working on a document that any group involved in North-South community engagement can voluntarily adopt and use, not just to build programs but also to assess how well they’re staying on track. The content includes acceptable marketing practices, such as how to handle third-party campus recruiting campaigns, and discusses whether volunteering in orphanages should be considered a non-starter, in part because they forge short-term ties with vulnerable children that ultimately must be cut. Dr. Tiessen praises his efforts, calling the framework very practical and useful. But she says that universities should go further, embedding the ethics behind the framework into strategies for partnership agreements and how the institutions engage generally with the Global South. For universities, adopting ethical standards may be just as important to many of the students going on these trips as it is to the international staff organizing them. Some returning youth volunteers have written online about their ethical misgivings as a result of their experiences. Shawna O’Hearn, director of Dalhousie’s Global Health Office, reports a marked drop in the number of graduating medical students who have taken an international health elective, partly because of cost but also because students “have started to realize that by going overseas they are putting themselves into clinical situations for which they may not be prepared.” Ann Bigelow, who pioneered Canadian university service learning at St. Francis Xavier University in 1996, says StFX has seen its international service-learning program numbers decline in some areas, although it’s hard to tell how much of that is due to competition from private companies. Appropriate behaviour and cultural sensitivity: this includes a range of practical issues including dressing appropriately, acting respectfully and being sensitive to different cultural norms. Power relationships and privilege: asymmetrical power relations characterize many student mobility programs. Practices such as gift-giving can perpetuate stereotypes of the “giving North” and the “needy South.” Likewise, students require opportunities to help them reflect on and understand how privilege is historically rooted and reproduced through systemic inequalities. Exploitation of host communities: research-based student mobility programs frequently use host communities as research participants to get data for course work, research papers or theses. When that information is not shared with, or is not used to influence changes in, host communities, those communities gain little from the experience. Over-emphasis on career and skills development: many universities promote skills-building and career advancement over other important learning outcomes, such as cross-cultural understanding and social justice. That puts the focus of student mobility exclusively on the benefits for students with little regard for host community needs and aspirations. Making sense of unethical scenarios: students may encounter unethical practices including corruption or graft; physical violence against women, children, people with disabilities or animals; ridicule of LGBTQ people or of those who behave outside societal norms. In these scenarios, students may react in ways that can do harm to themselves and the people around them. Source: “Ethics in North-South Student Mobility,” by Rebecca Tiessen and Kate Grantham, published by Universities Canada, November 2016. Before voluntourism became trendy, volunteering abroad was the domain of non-governmental organizations focused on development. Volunteers needed hard skills and time. World University Service of Canada sent its first hands-on volunteers overseas in 1977. Today, WUSC sends 100 students overseas annually, most through the Students Without Borders program, a partnership with postsecondary institutions. As a serious development organization focused on meeting its partner communities’ needs, the assignments are driven by the skills required, not what volunteers are looking for. “These aren’t placements for the sake of placements,” says Rob Gillberry, senior program officer with Students Without Borders. It also has resisted the demand for short-term assignments. Its shortest is 12 weeks. That still is short, compared with the two years Lynne Mitchell volunteered with CUSO International, which started sending volunteers abroad in 1961. Dr. Mitchell, a graduate of crop science, worked in pest management for the Thai government starting in 1988. She recalls that two years was “standard,” and the length of time was important to allow her to acclimatize. “I learned a lot in two years. I hope I contributed something. I made a lot of connections with people, many of which I still have,” says Dr. Mitchell, now director and international liaison officer at the University of Guelph’s Centre for International Programs.